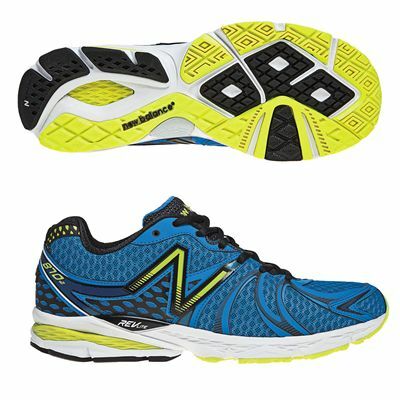 The New Balance M870V2 men's running shoes have been designed to provide light stability and excellent cushioning to mild over-pronators. They incorporate the Abzorb cushioning in the midfoot that delivers exceptional shock absorption. Additionally, the innovative REVlite midsole provides great responsiveness and durability and has 30% reduced weight when compared to foams offering similar performance. The outsole durability is ensured by the Ndurance rubber compound. A breathable outer fabric delivers superior comfort and ventilation. The weight of the shoes is further reduced thanks to a blown rubber outsole and no-sew material application. for submitting product review about New Balance M870V2 Mens Running Shoes.